My dad is an incredibly busy man. With all his ministry work, meetings, trips out of the country, message preparation, business concerns, and parenting and grandparenting, I am amazed at how he manages everything with such balance. It is most certainly God’s grace in his life. But he has also mastered the ability to prioritize what is most important. No matter how busy he gets, he will make time for my mom, my siblings, our spouses, and our kids. The other day he was in the middle of preparing for his preaching series on the book of Genesis but the kids wanted to show him something. 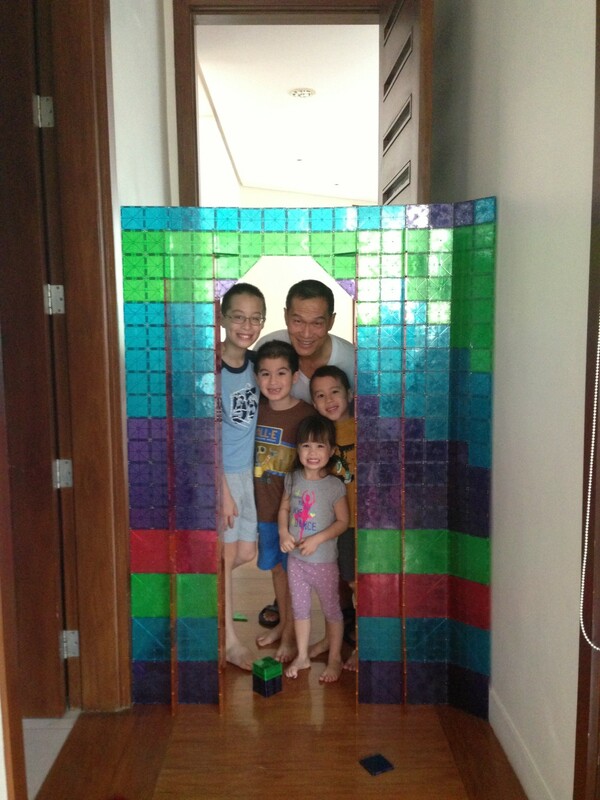 “Angkong, come see what we made!” They were so excited to bring him to their Magnatile creation. He was practicing his message on me but he followed them into the room. They had built this amazing entrance that looked like stained glass with Magnatiles (a plastic toy for building and construction). My dad went in and out of the opening to appreciate it and applaud the kids. I watched the way he cheerfully interacted with my kids and acknowledged their “masterpiece” even though he had to focus on his message. The kids beamed. It mattered that their creation was validated by him, that he gave them his time. My husband Edric is also a good example to me. He is great about giving me license to interrupt him or bug him. When I call him he will answer unless he is taping or doesn’t have his phone around. If he is in a meeting, he will pick up my call and ask “Is this urgent?” If it is, he will drop what he is doing to attend to me. If it isn’t, he will tell me when he is available to talk or ask me to call him again later on. But I really appreciate it when he picks up the phone and let’s me know that I am a priority. I want to be the same way with my kids. Sometimes, I can be dismissive towards them when I’m in the middle of an activity. Or I am half-present while typing on my laptop or surfing the Internet on my IPad. It may not be necessary to leave every single thing I am doing when my children come clamoring for my attention. But the point is to STOP and PAY ATTENTION by putting the IPad down, turning off the TV, hitting the pause button on the remote, setting the book aside, or getting off the computer so I can look at my children in the eye and let them know that I am engaged and 100% present when they come to me. I want them to know that they are always worth my time, that they have special access to me. As the most important people in my life, they should be convinced that they are! Im always blessed with your sharing. Thanks for being authentic. Wow! 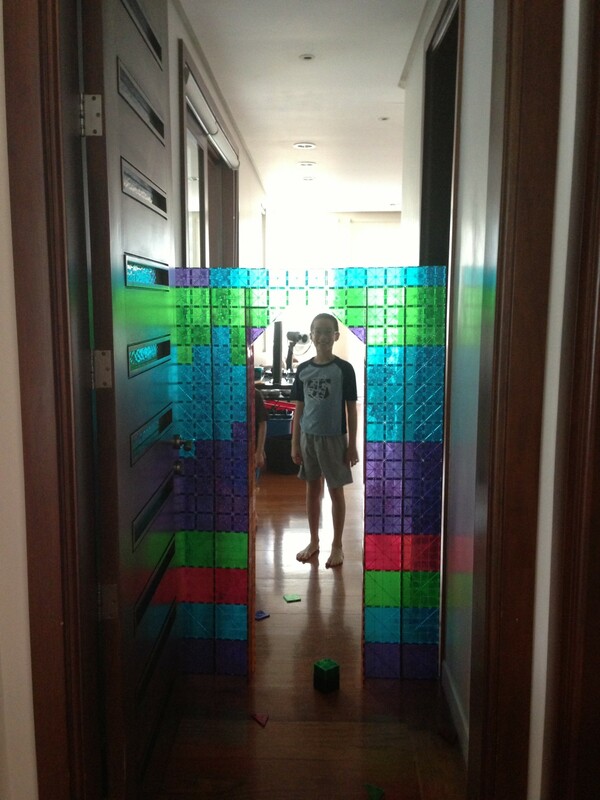 That IS beautiful doorway. And yes, I am often guilty of being dismissive when my children (and husband) call my attention while am deep in my work. I am especially curt when I need to answer the phone. This is something I am trying change with God’s provision. im guilty of this too. thats why today im changing the lock screen of my phone to a picture of the words “be present” to remibd me to focus on the more more important things rather than be lost in the online world when i shouldnt be. thanks for the reminder! Oh that’s a nice idea, Nina! Thanks for this!